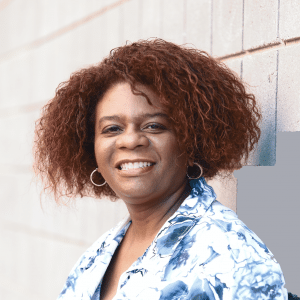 Francine L. Huff is a journalist and educator who frequently writes about personal finance topics. She is has appeared on more than 100 TV and radio shows, and enjoys speaking to all kinds of groups. If you think it’s time to apply for a reverse mortgage loan, you’ll most likely have to schedule a counseling session first. That’s because reverse mortgage counseling is required for a Home Equity Conversion Mortgage (HECM), the most common type of reverse mortgage, one that is backed by the U.S. government. Reverse mortgages come with pros and cons — older adults may tap the equity in their homes in return for a lump sum, a line of credit, lifetime income or a stream of payments for a specified period of time. The loan is repaid when the borrower moves out of the home, sells the home or dies, perhaps leaving fewer assets for his or her heirs. Reverse mortgage counseling is a protection for consumers so they can make the right choice, said Steve Irwin, executive vice president of the National Reverse Mortgage Lenders Association (NRMLA). How will you use the reverse mortgage loan proceeds? Will your spouse be a co-borrower? Have you considered other strategies to supplement your income? How will the reverse mortgage loan be repaid? The counseling session can determine if the borrower would need to set aside a certain amount of money to cover the taxes and insurance over the life of the loan. The counselor would review all debts, as well as income such as Social Security benefits, pensions and investments, according to NRMLA. If any money is set aside for taxes and insurance, it would reduce the amount of loan proceeds available to the borrower. HUD has approved certain counseling agencies to provide reverse mortgage counseling, so it’s important to choose a certified counselor. HUD’s website has a list of approved counselors. Certified counselors have passed the National HECM Counselor Exam and have successfully completed at least one training course related to HECM counseling within the past three years, according to HUD. They also must work for an HUD-approved housing counseling agency. The actual counseling session can be done in person or by telephone, and may take up to a couple of hours. Seniors who are unable to travel to a counseling session or have a counselor visit them in their home, can do a phone counseling session. If counseling is completed over the phone, the counselor can fax the counseling certificate with only his signature to the lender. The lender will then contact the borrower to see if they are still interested in going through with the reverse mortgage loan application, according to HUD. During the counseling session, the counselor is also checking to see if the client fully understands the implications of using a reverse mortgage loan. “Throughout the counseling session, there will be questions of understanding that the counselor will be asking, and if the applicant is not able to understand them they will not receive their certificate,” said Irwin. Certificate required. A client who does not receive a certificate can’t just go to another counselor because a note will be made in their records of what they did not understand about the HECM loan process. “But they can go back to the same counselor in under a six-month period,” said Irwin. Once a borrower receives a certificate of HECM counseling, he or she has six months to use it at which point the counselor will follow up with the client. Irwin said that about 50% of the people who go for reverse mortgage counseling actually go through with borrowing money this way. Although only one counseling session is required before applying for a HECM loan, the client can determine if more sessions are needed based on their situation. Consumers should feel free to reach back out to their counselor through the life of the loan, and they are strongly encouraged to follow up if there are any problems with the loan. How much does reverse mortgage counseling cost? According to HUD, approved counselors may charge a fee for counseling, but the cost must be reasonable and not cause a financial hardship for the client. Counselors must let clients know what the fee is before providing any services. Counseling agencies cannot turn away a client because that person is unable to pay, and they cannot withhold counseling or the certificate of HECM counseling because a person is unable to pay. The fee can be paid directly to the counseling agency or out of HECM loan proceeds. If the lender and borrower agree to the fee being paid out of the loan proceeds, the closing agent is responsible for paying the counseling agency, according to HUD. “Lenders may not pay HUD-approved counseling agencies, directly or indirectly, for HECM counseling services through either a lump-sum payment or on a case-by-case basis,” according to HUD. A home equity loan. Both tap a home’s equity, but a home equity loan gives you a lump payment for less than the cost of a reverse mortgage. The downside is a default could mean losing your home. Downsizing. Perhaps staying in your home doesn’t make sense if you no longer want to maintain a large house or stay in an expensive area. Downsides are the expenses and stresses that come from moving and putting your home on the market. Refinance. A traditional 30-year mortgage may be a solution for seniors who still owe on their homes but want lower payments. Rent out a room. Maybe a grandchild or other family member needs a place to stay and you have plenty of room. Even a modest rent payment boosts your retirement income. The counselor may be able to provide a list of available services, many of which may be found on the National Council on Aging’s Benefits CheckUp, including housing assistance, tax deferral programs, home repair grants or loans, food stamps, fuel assistance, and social services or health care programs.